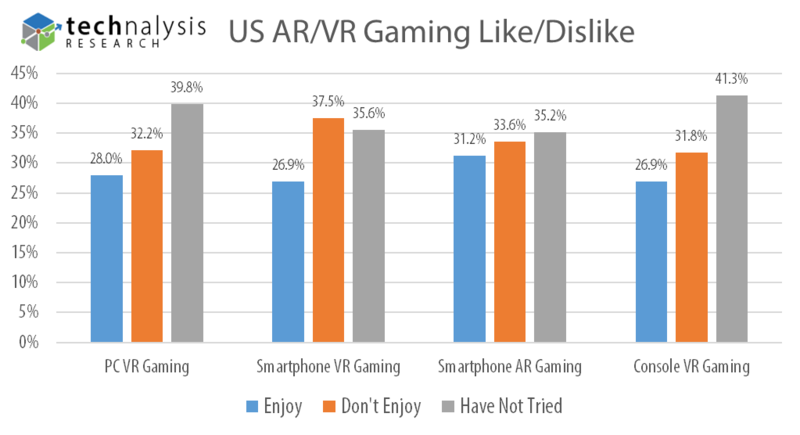 Unfortunately, the story gets a bit worse when you look at the overall experience and outlook that gamers have with AR and VR gaming, particularly in the US. 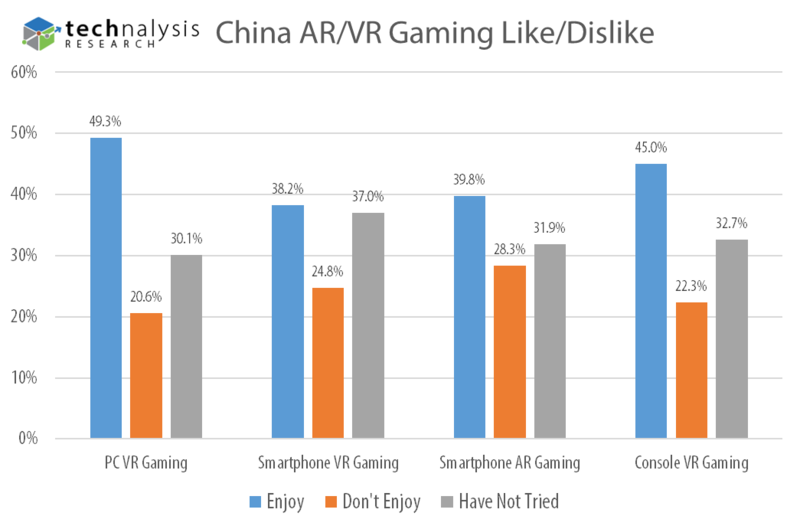 Respondents were asked to describe their level of experience/satisfaction for different subcategories of AR/VR gaming—PC-based VR, smartphone-driven VR, smartphone-driven AR, and gaming-console-powered VR. As Figure 1 illustrates, there’s still a challenge in getting people to try these experiences, with an average of just under 38% of US-based gamer respondents saying that they had yet to try each of these new gaming experiences. Again, thankfully, the story was definitely much more positive in China, as illustrated in Figure 2.